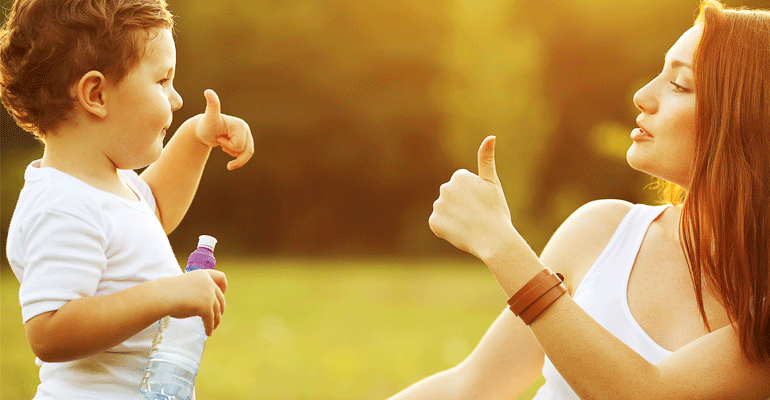 As parents, it’s easy to get caught up in routine where you do everything for children. As they grow up they will learn to lean on these standards, but there comes a time when they should work a little bit more on their own and perhaps learn some tools for the rest of their lives. By the time that they leave home for college or to move out of the house, they should know how to do laundry on their own, and that can be assisted by teaching them out to do it early. Getting your kids involved with washing laundry could help them create a positive future. The following tips can help you get them more involved at a young age. The first thing that you should do is let them help by shadowing you when it’s time to do the laundry. Have them help you separate clothing, and do some little things so that they know how the process works. If you start this at a young age, around 5 years old, you will be able to get a bit of help and experience under their belt. The goal is not to have them do it all on their own in a rapid pace, but rather to instill in them positive reinforcement at a young age, so that they have something to look back on when they are older. As they get older, this will all become easier for them and eventually they will do it on their own. Perhaps one of the fun things to do is load up the washing machine. 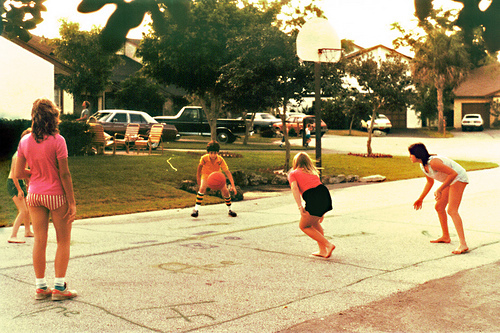 Allow them to do this with you, and make it a fun game, allowing the chore to seem a bit more fun than just “work”. If you can work on this simply, you are going to end up making serious strides forward in making this easy to learn and work through. You may not want them to add the detergent, but in these modern times, pods are used in many households, which can make this part easier. Through this, make sure to talk about the steps and the reasons why you are following a certain pattern. Once loaded, show them the knobs, buttons, and how to use them correctly. The next step is to help them with the dryer, keeping in mind the notion of talking them through the process and making it fun. Making sure that you teach them how to use the machinery correctly, and why, will help them get more independence over the years. At the end of the day, this process is a simple matter that can be started at a young age. Just make sure to make it less of a chore and more of a learning experience. In time, children will learn how to do this on their own and will end up becoming more independent. Communicating with children can be a rough and tumble process sometimes. As children get older and become teenagers, this notion becomes even more irksome. Trying to figure out how to reach them, especially when they don’t seem to want to hear you or communicate can be rough, but it’s not impossible. 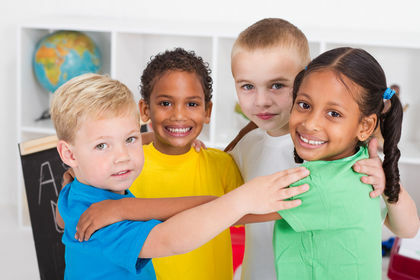 Starting at a young age, communication is key, and parenting should continually evolve with the notion of communicating with kids through their different phases. As such, the following 4 tips for communication with kids can help you get moving forward with relative ease, through the years. One of the best ways to get to talking is through a meal. Whether it’s dinner time or it’s snack time, make sure that you make a proactive push towards talking during the family dinners. There should be no distractions here, including smartphones, television, or anything that would distract the family. Communication during meals is a great way to interact, and continue with positive family values. Instead of getting entertainment in the car, talk with your children. Many parents opt for getting their kids to rest, or to watch a movie or something, but that’s not always a good thing. Use this opportunity to have a captive audience with you to talk more. It will be fun and you will be able to get them to listen, even if they are a bit irked about not getting their way. Listen to your children when they talk about even the most mundane of things. Paying attention, and actively listening to what their concerns are, their ideas and more will give you an advantage down the line. Listen carefully at what they’re dealing with and how they are managing their lives, and you’ll be able to chime in here and there. This one on one element can truly pay off dividends down the line as they get older. Sometimes children don’t want to open up and talk. Respect that and allow them to have some alone time, and close themselves off a little. If you don’t push them too much, and you don’t constantly correct them, you may find them to be receptive when they realize that you’re not going to prod them. They can open up when their initial wave of emotions clear up a bit. At the end of the day, you should be an open book, and always have an open door policy with your children. Communicating with them becomes easier if you just involve yourself in their lives and listen a bit more. There are going to be ups and downs when you’re raising children, and one of the hardest few years will be the jump from small child to toddler and then to preschool. There are wavelengths in terms of personalities that will come out, and modern parents will be fatigued fast by the emotional rollercoaster that manifests within these ages. As such, you’ll want to look at a few tips that can help manage the ups and downs a bit with preschool children. At this age, keeping them active, learning, and ready to take the next step is crucial overall. This may seem simple enough, but you’ll want to make sure that you don’t do every single thing for them. There are some things that they can learn how to do themselves, specifically dress themselves. Obviously, you don’t want to just leave them alone completely, but let them take on a little bit more of the task. Ask them if they want a little help, and often they’ll want to try to do it on themselves, but with a little nudging they may revert a bit. The key here is to slowly get them used to doing things on their own, learning, and getting your approval as their pride swells a bit because they are growing up. Find a chore that they can do in the house that doesn’t require a big deal of supervision. Don’t overwork them, obviously, but find something simple that they can do to help out. One way to work on this is to help them feed the family pet, or to let them water the garden with you. When they help and they are able to do these things on their own, give them some positive reinforcement they’ll enjoy working in the house a bit more as they grow older. As preschoolers get ready for the next step in their schooling, they should be expected to do more for themselves and become a bit more independently governed, within reason. At home, reinforce this by having children help with clearing off their plates, and little things that they can most likely be expected to accomplish on their own in school. Keeping things tidy, sharing, and focusing on simple tasks can help them elevate their level of preparation for the next step. These are just a few tips that can help with preschool children, as they venture forth into school, home life, and more. With a little encouragement and love, you’ll be able to help them out without having to succumb to the fatigue of emotional ups and downs. Raising kids in modern times brings about a great deal of struggles, and keeping them safe is paramount. More so than ever before, children can end up in danger and put themselves into situations where they can be hurt or worse. It’s up to parents to work out some details to keep them safe and sound when they are with them, or when they aren’t. No matter what the obstacle, a parent can influence children to make wise decisions in 3 key locales that they are going to traverse often. With that in mind, consider the following simple tips for safety in key arenas. Children are going to surf the internet eventually. With the proliferation and use of smartphones, tablets, and more, kids end up on the internet all the time. If you want to protect their eyes and minds from seeing the wrong thing, you’ll want to set up parameters to keep them safe. Invest in a good software that blocks out a lot of the nefarious things that are not meant for children online, and help them navigate to the right areas of the internet. Being proactive here will pay off dividends in time. Parents can’t be in the schoolyard all the time, but helping children navigate these areas can be as simple as talking to them about bullies, and any other issues that they can face. Making sure to tell a teacher when something is wrong is crucial, and having conversations with authorities will help create a safer school experience. Being proactive here, volunteering, and meeting with teachers can also help to curb any issues that may come up. Your neighborhood may seem safe at a glance, but there are many things that can go awry. From drifters, to cars that speed through the street, there’s a lot of issues that can rise up. To protect children, make sure that you’re watching them at all times, and instruct them as to what is safe play areas, and where to never go. Furthermore, making sure that you know your neighbors, and you warn kids of the dangers of strangers, and all sorts of issues can help them stay safe and sound when playing or walking through the area. The aforementioned are just a few areas that you will want to think about when communicating safety tips with your children. There are a lot of things that you can’t control, but you could always instruct safety and keep kids from getting involved with the wrong elements. If you limit your youngsters to stay miles far from chewing and still, at the end of the day chewing gum won’t save you. It is excessively sticky once it adhere to the garments then it would be to some degree by difficult to dispose of these stains. By mixed up it get append to our garments, floor covering and so forth. I know it would be truly wrecking when you saw chewing gum on your garments or on your floor covering yet don’t be dismal the experts of TheLaundryCenter are there with you in your guidance of dealing all kind of problems with the clothing. Place the material in a plastic sack yet remember one thing that chewing gum ought to face outward so it could be unmistakably noticeable. From there on you can put that plastic pack in freezer for around 2 to 3 hours relying upon the extent of fabric. After that take that material out of cooler and with the assistance of blade attempt to evacuate that mulling over gum. In the event that it doesn’t work on the other hand put that fabric into cooler yet this time for extended periods. Take little measure of boiling water in a bubble and dip the influenced region of material in dish, clean with your toothbrush over the influenced zone. There can be other technique that can be applied without plunging your fabric in dish; you can spill heated water on chewing gum with the assistance of hot water from a kettle and after that take the same steps. Before utilizing liquor make it clear that it won’t hurt your garments. Put a little measure of liquor on influenced range, and with the assistance of wipe apply it tenderly and abandon it for around 10 to 15 minutes as liquor makes time to be absorbed in. From there on you can utilize spatula to evacuate that chewing gum all over out of your garments. You can now wash your fabric to remove the remaining residue. Are people over-thinking the entire concentrated clothing cleanser vs. standard clothing cleanser thing? We’re beginning to get the feeling that they are. Maybe the experts of TheLaundryCenter offer assistance? The following are probably the most well-known inquiries we were gotten some information about concentrated clothing cleanser. With concentrated clothing cleanser, aren’t I paying more cash for less cleanser? Contrarily, and that is the entire magnificence of concentrated! Less volume implies you probably won’t have to utilize a full container top for every heap. Indeed, most just oblige a tablespoon or something like that for every heap! Foundation: Concentrated means just including fixings that really do the work of getting earth & smells out of garments. As it were, no more unnecessary filler add-ins that just make the item greater – add-ins like frothing executors and water. Also, the cleansers ordinarily evacuate the filler chemicals found in more customary cleansers that are in charge of the breakdown of your garments fabric. More money for less cleanser. So how precisely is concentrated cleanser better for the earth? Basic. Concentrated clothing cleansers are regularly 1/4 – 1/8 the span of the customary clothing cleansers. Jugs are littler, so they oblige a 1/fourth – 1/eighth of the plastic to be delivered. Some brand’s jugs are produced using 25%-half reused post shopper plastic. 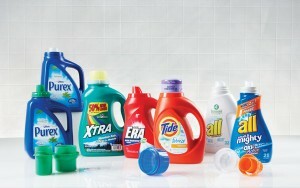 Conventional cleansers use inefficient measures of water to weaken their item. This is NOT the case with concentrated cleansers! Being lighter and littler means they don’t take up as much space while being transported and put away (spares fuel!) + less pressing is required for transportation the items (spares trees!). What’s more on the whole, this brings down the world’s nursery gas emanations. Takes up less space in your bureau. If you’re a coin- op clothing client, you can simple transport the container in your handbag or just throw on top of your hamper – you’ll scarcely perceive its there. Many people have misconceptions regarding laundry .They don’t realize that they were doing laundry all the time in an ineffective or maybe fully wrong way. They simply do clothing in a wrong manner and take after erroneous way. Whether sorting to be carried out on white premise or to be carried out on premise of dim there are shots of blunder or mix-ups in every single case. It is something junk to utilize chlorine fade on pants it may gave yellowish color. White shade pants ought not be treated with different garments that may have stains. There is no compelling reason to put your swimming suites in washer. It would be a best alternative to plunge these outfits in water, In the case that it won’t smell pleasant then its better to spill a spoon of vinegar in water. Keep your children material in a different pack and even treat them independently. Don’t even attempt to put their garments in grimy water. Don’t set out to treat your dim garments in boiling point water else they may lose their shade its better to treat bright shades in cool water. Attempt to treat your towels in boiling hot water and take it out promptly from washer when it stops else it would not smell pleasant. For bed sheets: attempt to utilize a setting for heated water. The boiling point water cleans the sheets, as well as sterilizes and murders any germs on the sheets also. If there is weaving or uncommon sorts of adornments on the shirt/sweater, its best to hand wash, yet most shirts now can undoubtedly be washed by FLIPPING the shirt back to front. Alternately yoga pants are ought to additionally be washed back to front, particularly if there is a design printed on it. TheLaundryCenter is an enormous devotee of silk garments and our customers wants to wear silk frequently. However it should be put into consideration that silk is a delicate, shimmering fiber acquired from casing of the silkworm. Silk pieces of clothing are delicate and fragile and are inclined to harm. So to wash this sensitive fiber, exceptional consideration is required. Silk can be washed by hand if washed deliberately, however in case that the label of clothes says Launder only or dry clean only then never wash it in home. Fill your tub with cool water and gentle cleanser. Put the silk thing in the tub for few minutes. Don’t rub or scour aggressively. Don’t utilize chlorine bleach while cleaning silk. Chlorine will harm the silk material. Clean the silk garments with 1/4 mug of vinegar or include tiny bit of hair conditioner to make your silk more luxurious. This serves to restore the sparkle of the silk. Flush completely. In the event that you have hard water adds a spoonful of borax to the washing water. While washing in machine you ought to utilize slight Cycle and gentle cleanser. Don’t crush the silk. 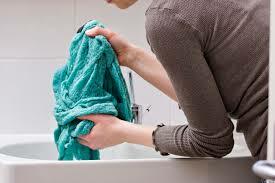 To douse additional water put the silk between two clean and dry towels. Hang silk in a peg however don’t utilize a wooden rack; it may leaves stains on silk. Abstain from drying silk in immediate daylight for long time on the grounds that regulate daylight may harm the silk fabric. Silk garments ought to be pressed by keeping iron at its most reduced heat. Furthermore silk ought to be pressed from rear. Substances containing liquor, for example, fragrance and hairspray harm silk fabric. So silk must be secured from these substances additionally. The experts has additionally offered tips to Indian women to keep up their silk sarees. With regards to Indian women they basically love silk sarees. Closet of Indian ladies never finishes without silk. From engagement to wedding to some other favorable event ladies favor silk sarees. Silk looks breathtaking and tasteful however it is similarly vital to keep up the sarees, else you may lose your expensive sarees. Continuously wrap your saree in a cotton fabric. Refold the sarees once in a month to evade tears or blurring. Many people never wear silk sarees for long time in order to abstain from washing these sarees. However, much as could reasonably be expected. Airing for few hours is sufficient to keep them odour free. Don’t put naphthalene balls straightforwardly on sarees, it may cause stains. Store these sarees in a cool dull spot. As the fall and winter months approach, and with them come stormy and cold climate, TheLaundryCenter offers approaches to treat climate harmed leather. Commonly individuals get stuck outside in their leather coat amid an unforeseen rain or snow storm. Whether it is a New York film goer out while its snowing or a motorcyclist abruptly riding through a downpour storm amid a cross country excursion, eventually in each individual’s life, their leather item will experience climate harm. The experts at TheLaundryCenter who offers one of the best Wash and Fold services advises that, harmed leather can cost an individual thousands to supplant or repair, yet leather treatment is quite straightforward. Below are the steps to cleaning wet or climate harmed leather items. The initial phase in cleaning a leather coat is to permit the leather to dry out just about totally in a dry, room-temperature area. This may take up to a hour if the leather is amazingly wet, yet don’t permit the leather to dry totally. The leather ought to be somewhat clammy while cleaning it. When the leather is simply moist, wipe off abundance soil or oil that is presently on the leather with a clammy material or cloth. When the leather is wiped down with a sodden material, apply leather conditioner with fingertips, beginning with a little sum, and after that including all the more as required. This is possible to the whole bit of leather, however must be carried out to the range that got wet. Water regularly brings oils out of the leather and these must be supplanted. Leather conditioner, in the same way as Wilson’s leather cream or Lexol leather conditioner, will supplant these lost oils and help to bring the leather once again to a sound shine. Permit the leather to completely dry in a room-temperature place. Don’t utilize hotness to dry the leather speedier, as this can harm leather further. This procedure could take up to a few days. When dry, go over the leather to discover any dry or weak ranges, and rub conditioner into these areas too. It is imperative to treat leather quickly and totally, without surging the procedure. Harmed leather can without much of a stretch be totally demolished if not treated legitimately. It is advised that you counsel the experts first, while dealing with such issues. Feel free to contact our support to get free tips and advices from our experts. What do you think is more awful – dull lint on white garments or white lint on dull garments? It truly doesn’t make a difference on the grounds because lint never looks great. lint can happen when you wear something that sheds, sit on something that sheds or wash different garments with a shedder. The experts at TheLaundryCenter have collected useful tips to help you keep lint from happening and disposing of it when it does happen. Everything starts with how you sort your clothing. A few fabrics are lint shedders, others are lint collectors and the two should never be washed together. Obviously, it is best to sort lint shedders by color also. On the off chance that you have an article of clothing that is now covered with lint or hair from wearing, throw it in the dryer on AIR-ONLY with a dryer sheet to help uproot however much lint as could reasonably be expected before washing. Make sure the dryer lint channel is clean before beginning the air cycle. 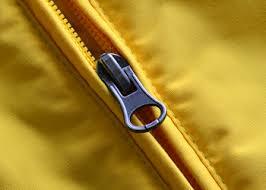 To keep lint from storing on the outside of garments, wash pieces of clothing back to front. Nonetheless, in the event that you have a piece of clothing that is covered with lint (a white shirt worn under a dark sweater), wash it with the right side out to help lint departure. As you load your washer, make sure that you don’t over-burden. It is imperative that water can move unreservedly between fabrics so lint suspended in the water might be washed away. Congestion permits the lint to redeposit. Numerous more established washers have a lint channel that must to be cleaned consistently. It is typically placed as an afterthought or upper edge of the tub.While cleaning toward oneself sounds incredible, it additionally implies that the lint and hair could be trapped if you don’t utilize enough water to wash them totally out of the machine. It is useful to run a cleaning cycle consistently to flush the lint away and it helps control smells and clean your machine. In the event that you have your washer joined with a septic tank framework, the lint is constantly washed out of the washer and into your tank. Fabric filaments don’t break down effectively and will keep on gathering until they cause an issue. There are outside lint channels that could be associated with this issue. Keep this in mind to clean them consistently and to keep lint from redepositing on garments. Adding a cleanser to the last wash will help strands unwind and discharge lint to be washed away. You can utilize a business cleanser, hand crafted cleansing agent or refined white vinegar. Each dryer has a lint channel that is vital for catching the lint that is lifted far from wet garments as they dry. It is likewise key to keep this lint channel clean or lint can redeposit onto garments on the grounds that it has no where else to go. It’s likewise essential to keep the dryer hoses and outside vents clean with the goal that wind stream is solid enough to force away lint – and as a reward – it will help forestall fires. On the off chance that you have not utilized a cleanser as a part of the washer, a dryer sheet can help diminish friction based electricity that can hold lint to garments. 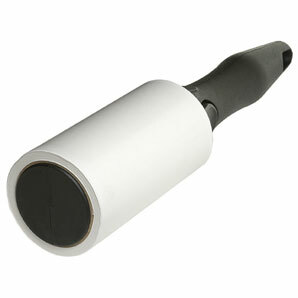 A lint brush or lint roller is a crucial in the wardrobe, your work area, your satchel and in your car too. For brisk touch-ups there is nothing better. On the off chance that you don’t have one, you can utilize tape wrapped around your hand with the sticky side out to evacuate lint. Or if that piece of clothing has bunches of lint and you don’t have room schedule-wise to wash it or dry clean it, utilize a garments steamer as a part of expansion to the lint brush. The clamminess will help evacuate the static that holds the lint all the more hard to the fabric. In conclusion, don’t store lint delivering things like sweaters or shower robes close lint pulling garments. Furthermore, keep dark garments far from whites. If you’ve washed something and it has extreme lint, start by washing the clothes again and include 1 container refined white vinegar in the water. This will help slacken the lint from the fabric by unwinding the strands. Place those clothes in a dryer with several microfiber materials and tumble until marginally soggy. Expel from dryer and utilize a garments brush or sticky lint roller to evacuate the remaining lint. On the off chance that you don’t have a sticky lint roller, utilize overwhelming obligation pressing tape wrapped around your fingers to force off the lint. In the event that you don’t have room schedule-wise to rewash, shower the piece of clothing with a hostile to static spread and afterward brush with a lint roller or a dry cellulose wipe.